If you haven't heard of USB Type-C yet, it's time to take notice. USB-C is becoming the industry connectivity standard for new devices. Get the most out of your USB Type-C devices with USB-C video adapters from C2G. 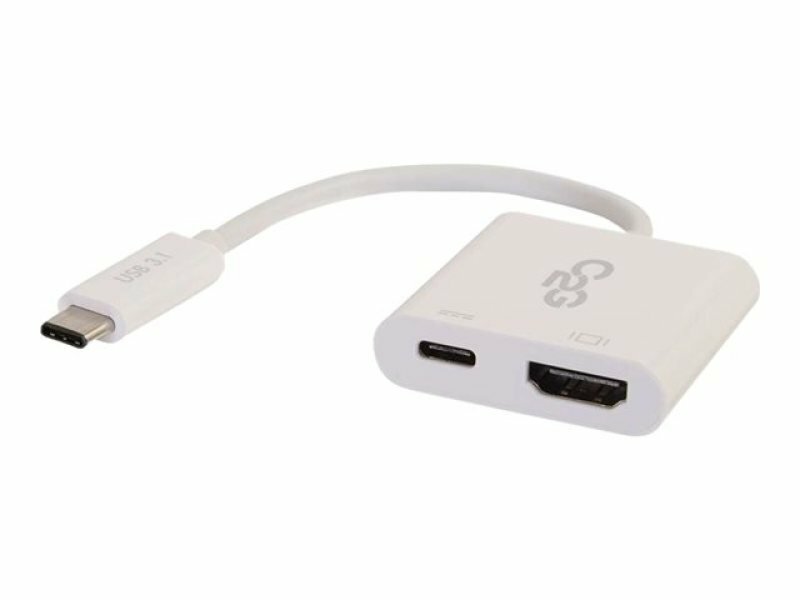 Available to convert your connections from USB-C to HDMI, DisplayPort, DVI and/or VGA. With no drivers required, all our USB-C video adapters offer straightforward, plug and play installation. Experience 4K ULTRA HD displays and fast charging with this USB-C to HDMI Audio/Video adapter converter with power delivery which allows you to connect a device with a USB 3.1 Type C connector, such as a Chromebook, laptop or tablet, to an HDTV, projector or other HDMI-equipped display for audio and video, whilst simultaneously charging the source device. This adapter utilises the audio/video support built into the USB Type-C port to feed an audio/video signal to an HDTV or other HDMI display to achieve high-quality, 4K (ULTRA HD) video image. With delivery of up to 60 W of charging power to the connected device, this adapter converter offers a lightweight, portable and simple way to deliver video and stay charged up - whether you are out and about presenting, hot-desking or at home streaming movies. Additionally, the USB-C connector has a symmetrical design which is identical on both sides - it will plug in the first time, every time, whilst preventing damage to the connector port. The colour-coded USB Type C connector allows this cable to be easily identified as a USB 2.0 cable and differentiated from other cables, which may support a different feature set.